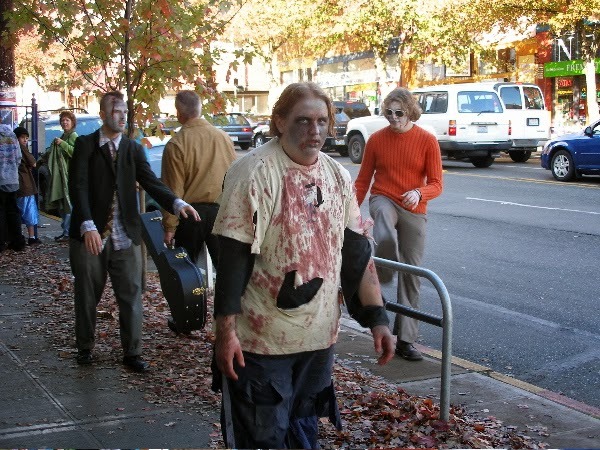 Skeptophilia: Bring out your dead! I have, at times, been accused of selecting only the most grotesquely absurd examples of woo-woo belief to examine in this blog. Thus, say my detractors, avoiding the necessity of answering difficult questions about more plausible, rational, and scientific claims. There are so many people who fall for them. As an example, take the article that popped up on The Freethinker yesterday, which I had to read twice to convince myself that I wasn't falling victim to Poe's Law. The title? "Evangelical Christians Want Access to More Corpses... To Hone Their 'Raising the Dead' Skills." The DRT offers a service of support to any family that is grieving the loss of a loved one. In addition to giving the bereaved spiritual and emotional support, our team of trained ministers will offer prayers of resurrection on the behalf of the deceased. Handling each situation with the utmost sensitivity, our team travels to the funeral home, morgue, or family's home where the deceased is being kept. Upon arrival, we spend time in prayer with the family, as well as the deceased. We will stay as long as we are needed. Since it was started, the DRT has comforted families in the midst of grief, as well as having eleven resurrections to date as a result of their prayers. If this is a service you would like to make use of in the midst of your pain, please contact us as soon as possible. Nothing is impossible with God. Johnson is unwilling to provide successful case studies. And in general, the proof that believers cite is a bit unconvincing ­– for example, there is an American heart surgeon who allegedly brought a heart attack patient back from the dead with prayer … oh, and a defibrillator. Other doctors find the story entirely unremarkable. One wonders why. On the DRT website, you can check out the details of "training," which include sessions on "The Theology of Dead Raising" and "The Practicals of Dead Raising." I would expect the latter to be especially... informative. Alun and Donna Leppit... [are] a British couple who are convinced that the dead can be raised through the power of prayer. During the course of the [BBC 4] broadcast, Donna lamented that there aren’t too many corpses in the UK that they can practice on. The one that they did try to resurrect to was Donna’s brother, who died of a heart attack. By the time they got to the mortuary, he had been dead for eight hours. They prayed over him for nearly an hour, and although at one stage they thought they saw him move, that was as good as it got. Are they discouraged? "Not at all," says Alun. "Practice makes perfect," adds Donna. "But in this country, we don’t often get access to dead bodies." No, Donna, and there's a reason for that. Funny that there's no Amputee-Restoration Team, isn't there? Seems like amputees eager to have god (with whom Nothing Is Impossible) restore their lost limbs would be easier to come by than corpses. Wonder why they don't give that a shot? Maybe because they know it wouldn't work -- and the amputee would still be around, sans limb, to give lie to the whole proceeding. A "biblical view of law" would include, presumably, doing things like stoning disobedient children and burning down towns where there are unbelievers, since those are both clearly mandated in the Old Testament, along with the prohibition against homosexuality she is so fond of quoting. So it's easy for rationalists to laugh at the Dead Raising Team and the rest of the wacko fringe, but there is a significant percentage of Americans who believe in such things whole-heartedly. So maybe the "low-hanging fruit" isn't quite so facile a target as it may have seemed at first.